Today being Varalakshmi Pooja, I had prepared Sweet Kozhukkatai, Sundal, Wheat Appam and paruppu Payasam. 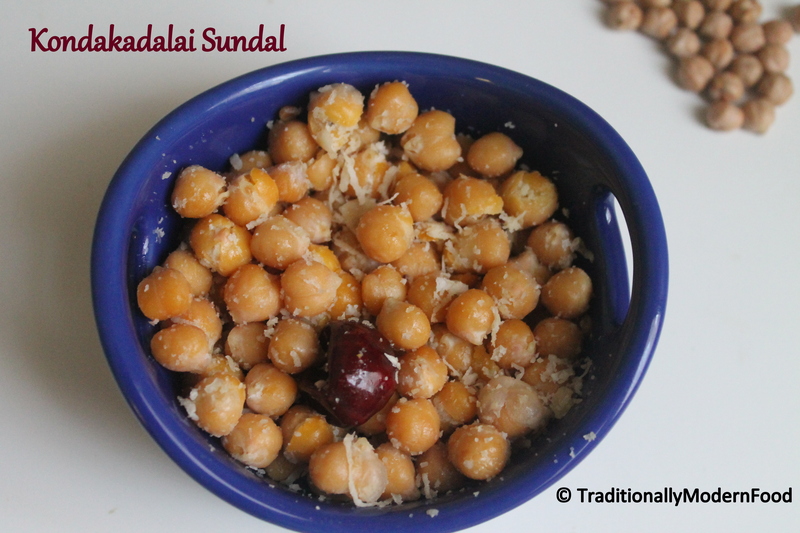 Kondakadalai Sundal is also prepared during Vinayaka Chaturthi and Navarathri. It goes well with rice and as a tea time snack. 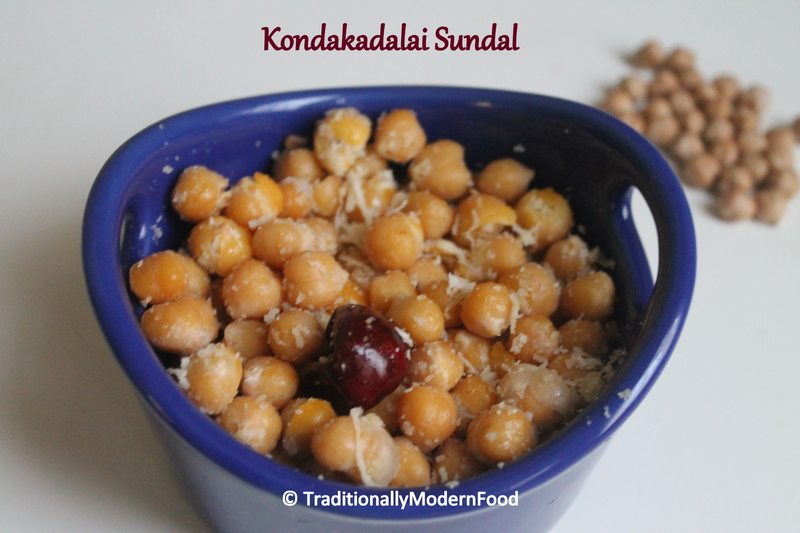 Previously I had posted Channa Masala with kondakadalai, and this sundal is a no-onion no-garlic version, as it is prepared for pooja. Knowing today is pooja day, many of my friends asked for Kozhukattai recipe, knowing I would have prepared that. But to update the notes better, and to make a detailed recipe, I need to discuss with two Kozhukattai experts (my Mom and Mother in Law). Recipes for Sweet Kozhukattai and paruppu Payasam are coming soon. I am blessed for sure 🙂 Tc and Happy Sunday. I had some Varalakshmi pooja special dishes at some friends’ today. This is my comfort food that I make almost every week! Loved the addition of coconut to the chana….. Delicious, I could eat chick peas every day! 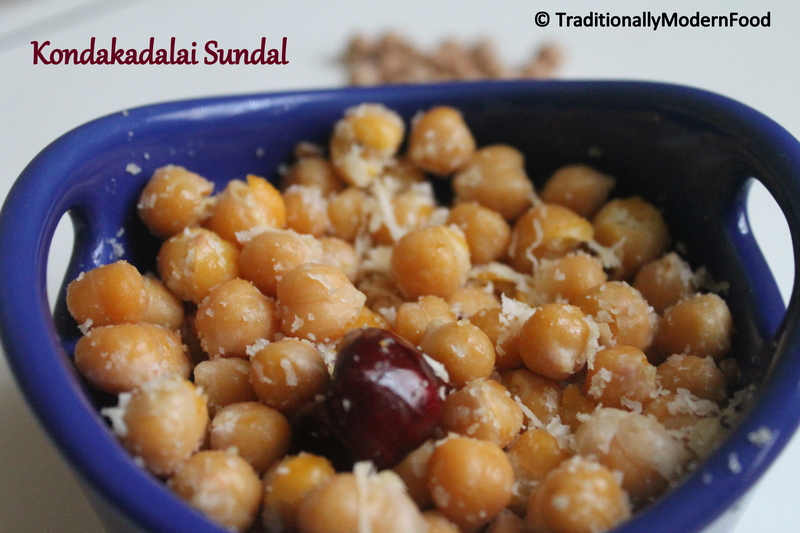 This sundal is among my favourite munchies. 🙂 Hope you had a great pooja, I did. Lovely, yummy sundal. 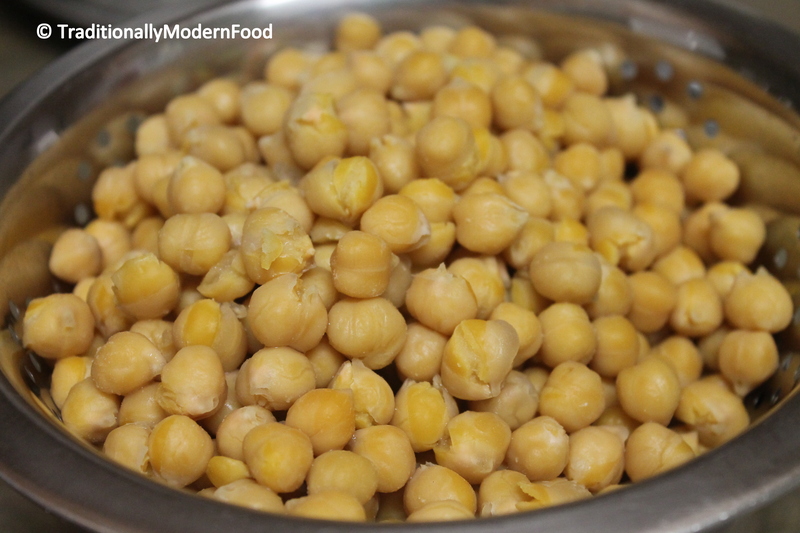 I love how you have cooked these chick peas to perfection! Not over or undercooked! 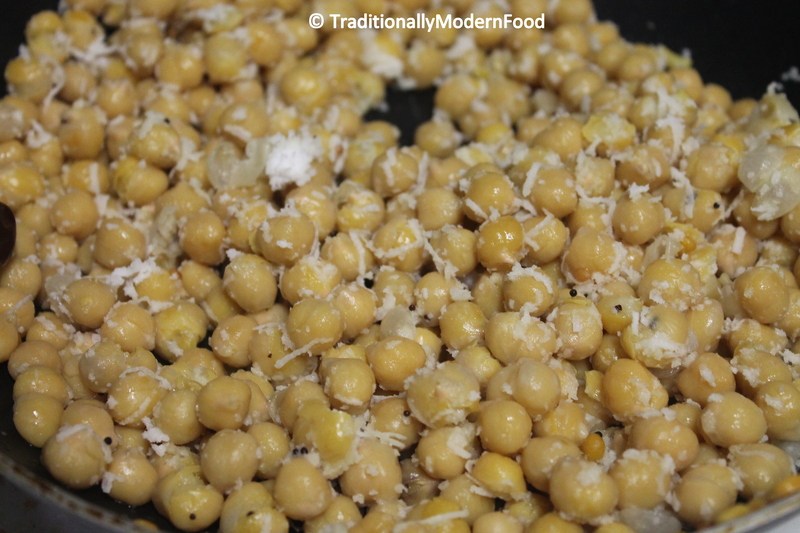 Chickpeas and coconut is one of my favourites!